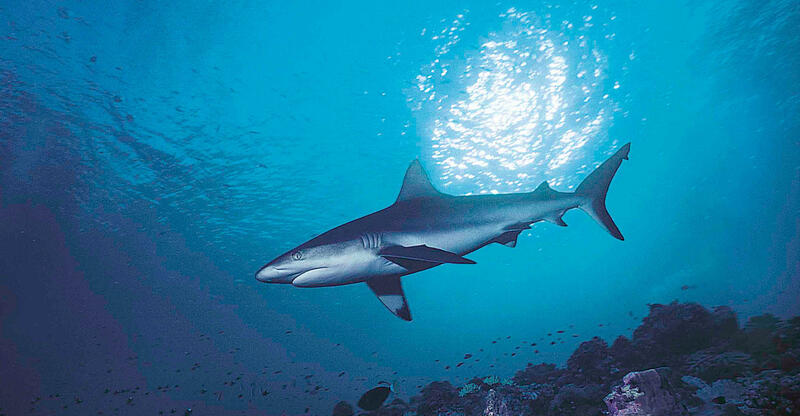 A promising new cancer treatment has an unlikely origin: sharks. Co-developed by University of Aberdeen and Irish pharmaceutical company Almac Discovery, the treatment involves variable new antigen receptors (VNARs), antibody-like binding proteins found in the immune system of sharks. The VNARs bind with drugs easily, making them ideal drug delivery vessels. Researchers believe that the proteins will bind to cancerous tissues and penetrate tumors, before releasing a "war-head of anti-cancer drugs". Unlike other caner treatments, the drugs released by these proteins will have minimal effects on non-cancerous tissues. The product, known as soloMERsTM, has already been granted a patent in the United States. "We are always looking for novel science to drive the next steps in drug development and we feel that the soloMERsTM concept could be the next scientific step forward in drug conjugate approaches," remarked Almac Discovery President Dr. Stephen Barr in a news release.